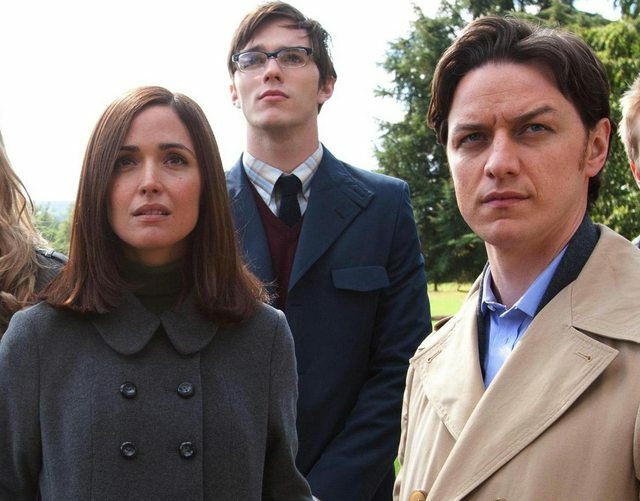 This is Dr. Moira MacTaggert, interpreted by actress Rose Byrne in X-Men: First Class (2011). And this is the cameo of Dr. Moira played by Olivia Williams in X-Men 3: The Last Stand (2006). She is standing next to a comatose patient. Xavier has transferred his mind into the body of this patient, who is his twin brother, following his physical body being disintegrated by the Phoenix (Jean Grey). Charles explains the possibility of transferring a consciousness of a dying man with terminal cancer and father of 4 children, into someone else.